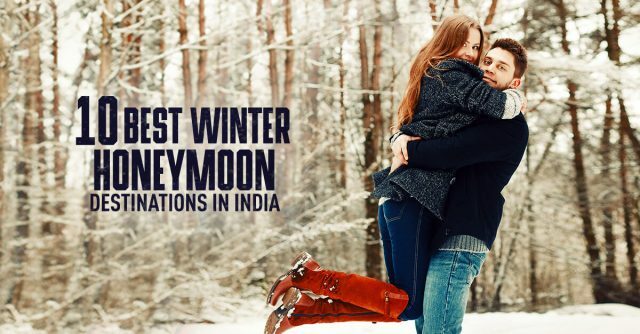 Here’s a rundown of 10 most beautiful holiday destinations that can fire up imagination of romance and rapture among lovey-dovey and affectionate couples. Shimla is a bonafide haven for adventure enthusiasts, nature lovers, and honeymooners. With its breathtaking beauty amplified many times by the thrilling Jakhu ropeway ride, Shimla attracts and hypnotizes travelers all over the year. The magnificent views of the towering mountains, verdant forests, and quaint little villages render the perfect ambiance for a romance-filled getaway. This city, one of the most magical ones in Rajasthan is besmeared in diverse, exquisite shades of blue. For all lovey-dovey twosomes, a passionate journey rolls out the red carpet in the intriguing mishmash of serpentine medieval streets and the tapering by lanes of the mighty colossal forts. Down south, this dreamy and irresistible landing place for honeymooners and nature lovers reminds you of the profundity of spring nearly all year round. The little scenic and romantic hill town called the ‘Princess of hills’ with fondness and affection is a relaxed, laid back and perfect port-of-call for couples-in-love and newly-weds to fabricate a few sublime memories. Beaches, water sports, and nightlife – that’s what Goa is all about. The quintessential holiday destination for every celebration and occasion, Goa’s remarkable splendor with its crescent beaches, the sparkling Arabian Sea, alabaster waterfalls, luxuriant green forests, fabulous forts, and sunshine make for the ideal amorous and unforgettable times with your soulmate. Is there a better way to write your immortal love story than by expressing your admiration for Taj Mahal, the epitome of timeless love and passion? Undeniably, a standout amongst the most romantic getaways, the old-fangled city of Agra and the ethereal Taj Mahal showcase Mughal grandeur and love-filled backdrop with copybook charm and elegance.Ring up the curtain on a ‘Shahi’ honeymoon and have the best times of your life. With plenty of wonderful and exciting activities like Scuba Diving, Snorkeling and Water Sports to keep you engrossed in, Andaman and its pristine secluded islands boast of some of the most beautiful and unsullied beaches perfect for honeymooners or lovebirds wallow in a holiday they surely don’t aspire to end soon. The capital city, Port Blair is renowned for its museums and historic spots from the bygone British era. From the most spellbinding views of the sunrise at Tiger Hills, the breathtaking lush green tea gardens to a relaxed and fun-filled toy train ride, Darjeeling stands lofty as the very archetypal hill station with its glory and old-world charm. Revel in your honeymoon with your sweetheart with lots of shopping and mountaineering activities like hiking and trekking. A favorite haunt and a regular bolt for freedom for Mumbaikars, especially on weekends. The hilly siblings infused with beautiful lakes, rejuvenating waterfalls, awe-inspiring caves and forts, and lush greenery amid the lofty Western Ghats can create a splendid tender-hearted experience for lovebirds and honeymooners. Bask in nature’s tranquility with your darling up, close and personal and spruce up lovely memories. Undoubtedly Srinagar happens to be a romantic honeymoon destination with a class of its own. The timeless beauty played up by the sprawling Mughal gardens, bewitching lakes and the amazing houseboats can inspire you and your beloved with a flavor and feel of idyllic bliss and enchantment. Lie back on a Shikara on the Dal Lake with your better half and sense sheer paradise. Wind down into the stunning watery universe of Alleppey dabbed in sporadic villages, canoes, kayaks, toddy shops, and several houseboats – all of which are as pretty as a picture. With its bewitching lagoons, lake sides, beaches, palm-fringed canals and backwaters, it’s among the best wedding trips that render a charming and sentimental affair.